Whether you watch the news or not, it seems impossible to tune out the turbulence around us right now. There is a current of uncertainty in the air and an uneasy feeling about the future. In response, we all find ourselves creating safe havens at home to escape the world and leaning on ancient rituals and natural remedies to quiet the anxiety and promote a sense of inner calm—self-care (or some might even say self-preservation) is now our number one priority. It's no surprise then that sage smudging and energy healing are now ubiquitous. In fact, "woo-woo" concepts are going mainstream, with crystals being "increasingly celebrated as life-enhancing" in everything from jewelry to home design. You can use crystals to bring positive energy home, supercharge your water, even attract love into your life. The trend shows no signs of slowing down, either, but can crystals really alter our energy levels and ward off negative vibes? 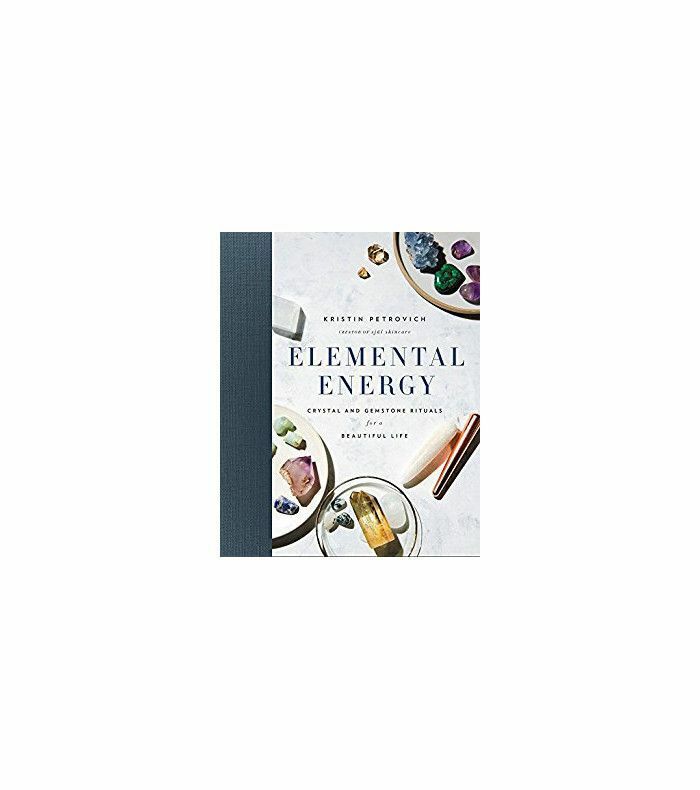 To discover how these powerful (and beautiful) gemstones work, we tapped Kristin Petrovich, co-founder of luxury skincare line Själ (which is "charged" with precious minerals) and author of Elemental Energy, to give us the lowdown on the right crystal for every room in the house to improve communication, your relationships, your health, and your well-being. "Stones can bring a great deal of positive energy into your home. They can help to clear it, bring a sense of calmness or peace, and break up any negative energy, even help protect against electromagnetic frequencies. Whether people realize it or not, we feel good around stones." "I like to suggest a basic chakra balancing with stones. To further enhance the energy of the stones, I use Tesla purple plates. While doing a treatment, I place them under my feet and any area that feels stagnant. I did this once for my husband when he was unwell. He laid there for about an hour and 45 minutes (normally you want to lie with the stone for at least 20 minutes to allow it to resonate). Afterward, he felt cleared (although a little tired), and the stone I had at his root chakra (a red jasper) had a very large white ripple running through it (the stone was completely red when he began). "When we use stones in this manner, a biofeedback occurs; in other words, you are having an exchange of energy with the stone and vice versa. Crystal healing bowls are a great way to do a healing treatment as their vibrations enter our energetic and cell structure. Amethyst bio mats are a way to have healing treatments in your own home. I use an amethyst mat to help clear and relieve stress. You can incorporate stone treatments on them too." "You can use stone energy in less obvious ways. I like to add a small amount of quartz powder into the wall paint to help clear a room. You can also create an elixir to use as a room mist. Black tourmaline can help clear a room of negative energy. "Another idea would be to use stones in flooring, countertops, and walls. Other, unique ways for decorating with stones are in the form of coasters, bowls, boxes, bookends, candleholders, even as a base for a lamp. 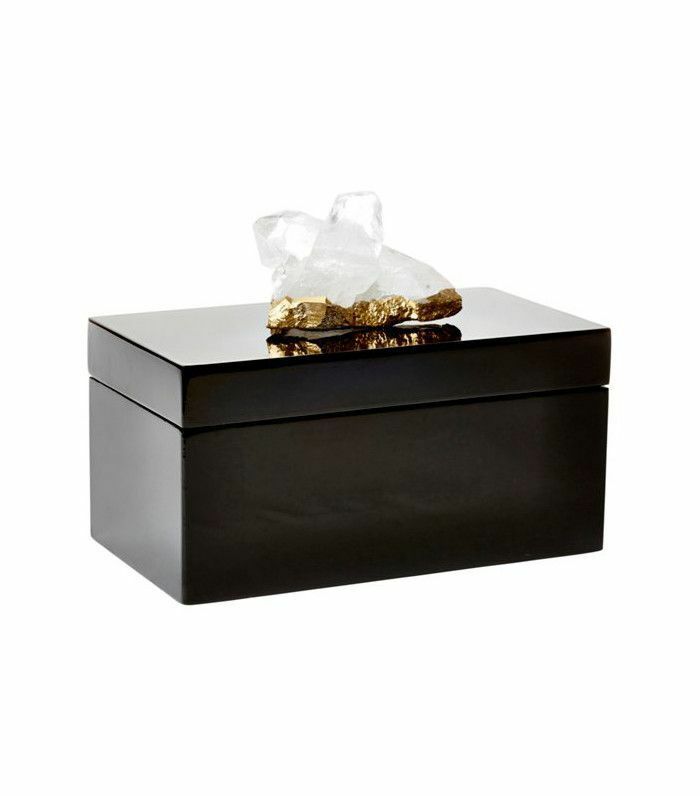 Petrified black wood end tables look chic and are thought to provide healing and protection. 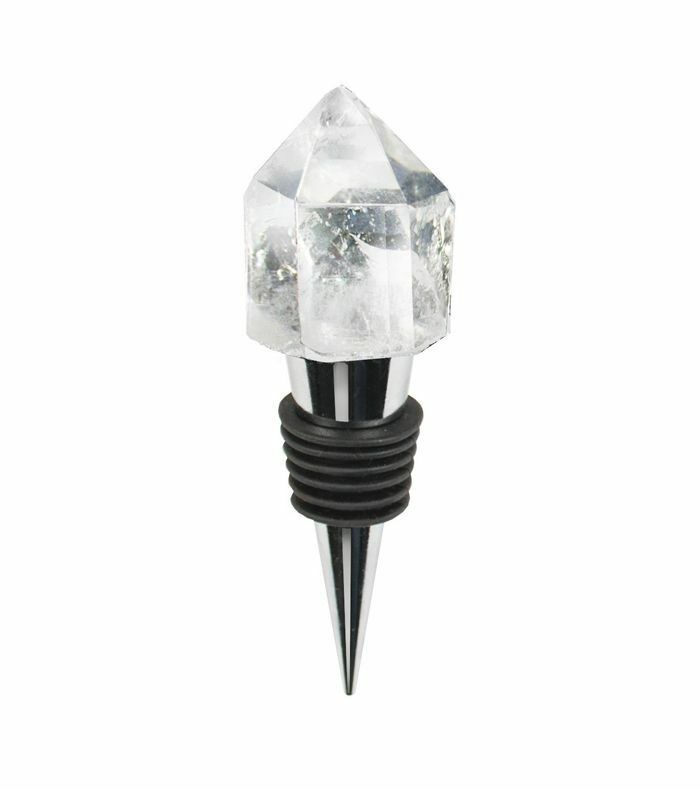 Although they are decorative, they are still crystals and possess the same energy regardless of their form. 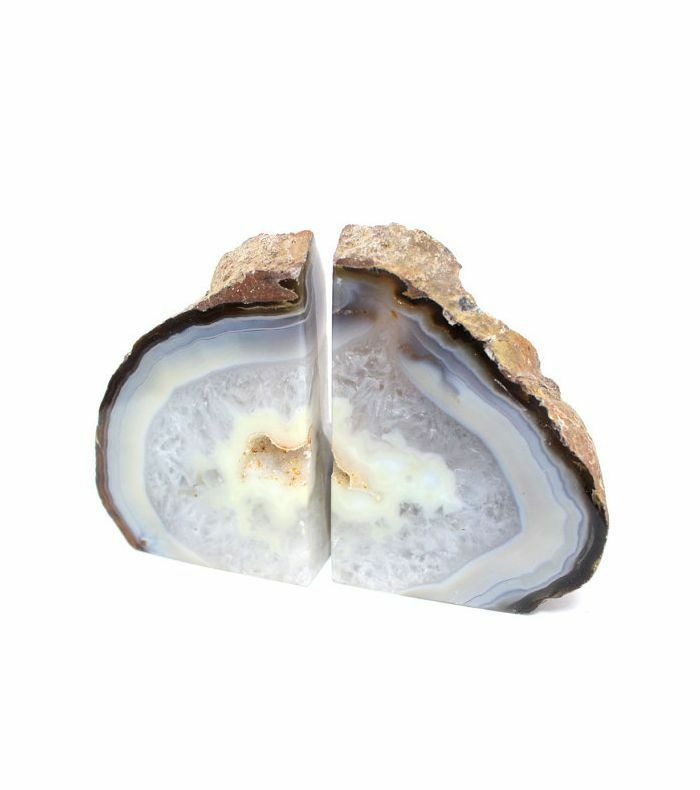 "Geodes can look nice on bookshelves or even as bookends. Place your favorite stones on the tray of your coffee table. In the bathroom, you can have an array of stones on a tray to be used for facials and baths. I think stones look great with plants as well." "Use black tourmaline and smoky quartz to help break up any negative energy. You can make an elixir and spray the room. For something extra, try adding a little colloidal silver and lavender for additional purification. You can always sage the space when using the stones as well. You could also try placing clear quartz in each of the four corners in the room. I have used quartz powder in shot glasses and placed them in corners of the room. Then throw away the powder after a few weeks. "I like clear quartz for clearing. This would be my first choice followed by amethyst, which is a tranquil healing stone." "Try not to overload your bedroom with energetic stones such as clear quartz, as they can increase energy and keep you up at night. A small piece to help enhance the other stones in your room would be fine, but start slow. "Always remember to cleanse your stones when you bring them home. This way you are not bringing another energy in. Remember to clean your stones from time to time as well (sea salt for cleansing; use the sun or purple Tesla plates for charging)." 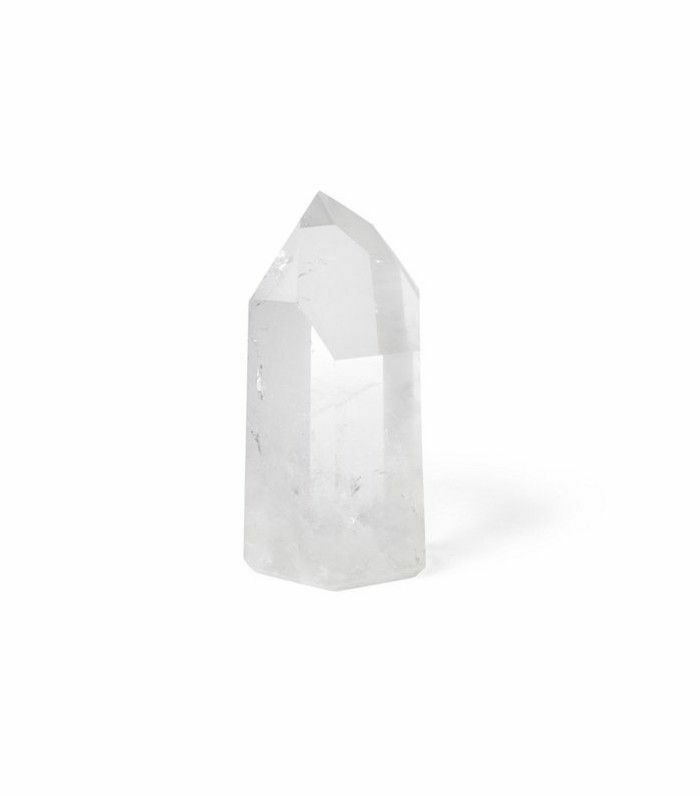 "It's great to have clear quartz in the living room to help clear the energy. It can also amplify energy, so make sure to have another stone such as an amethyst to help promote tranquility. I also like the way dark stones or smoky quartz can look (they are grounding and break with negative energy). Pyrite can look great as well. This is a protective, prosperous stone. Green malachite is another stone that looks nice in living rooms, and it helps to ground and protect against EMFs, or electromagnetic frequencies." "Blue lapis is great for communication, so it's perfect in the dining room. Citrine is also good because it works with our solar plexus and can help aid digestion. 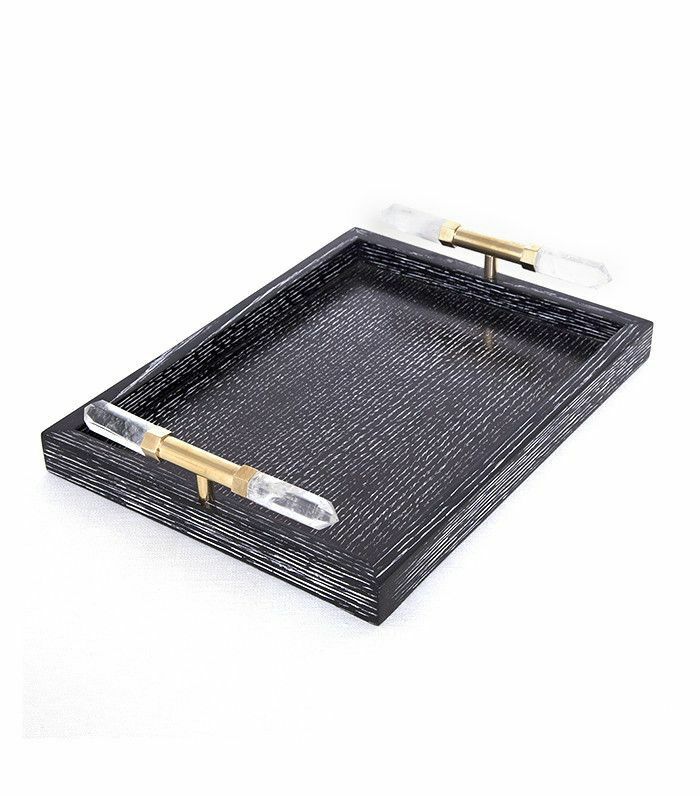 Dark stones such as black tourmaline, smoky quartz, even black marble serving trays can help to break up any negative energy from heated conversations. You can also use clear quartz for clearing. Green stones are earthly and can go nicely with food as well." 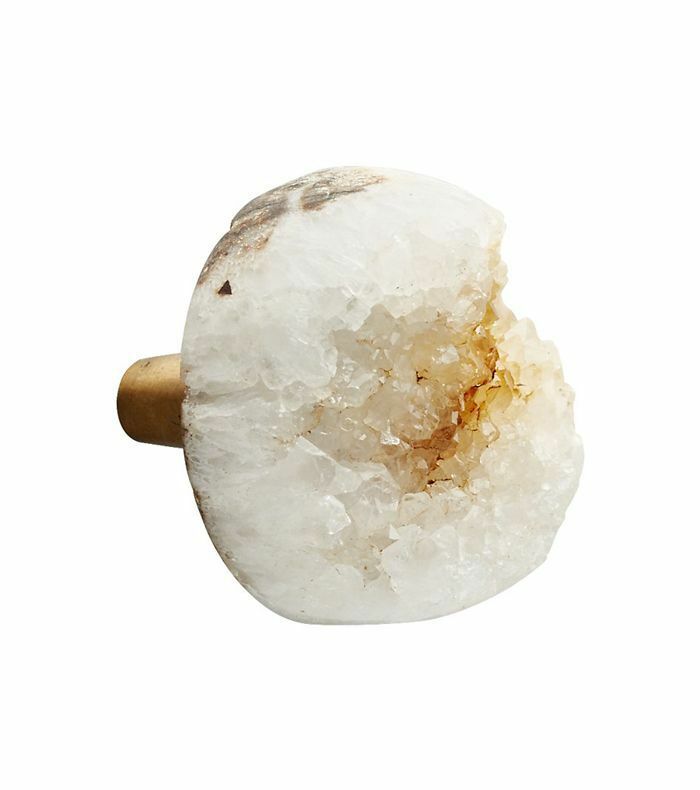 "Rose quartz promotes calmness and love while scolecite helps to promote a deep, serene sleep. Howlite is good for insomnia too. Amethyst is another beneficial stone for the bedroom as it promotes tranquility. Try them by your nightstand or under a pillow. I like to sleep with them, but be aware with non-carpeted floors as they may roll at night." "Green stones such as green moss agate are grounding stones, so they're really good for stimulation and look earthy in a kitchen. An orange stone called carnelian is beneficial for courage (which may be good for the bedroom as well), and citrine, which works with your solar plexus, is good for digestion as well as encouraging a sunny disposition." "Stones such as blue lace agate, aquamarine, rose quartz, and amethyst are not only pretty in the bathroom but are great for creating a calming space. Take them into the bath with you along with some sea salts and essential oils." "Blue stones such as celestite bring comfort and peace, but adding lapis or amethyst to an entryway will provide a welcoming, calming spiritual feeling." This post was originally published on December 12, 2016, and has since been updated.